Welcome and feel free to post this will be where by crewe save goes now from now on. I used fmrte to give my self a extra budget of about 3-6million as i set my target as promotion and a little extra wage budget. Good start here Corey, are you going to finish this one? Also, can we close the Crewe Alexandra one now? Nice Corey, Can we Merge them then? Good luck at Crewe Corey! My first update is so far my transfer update. 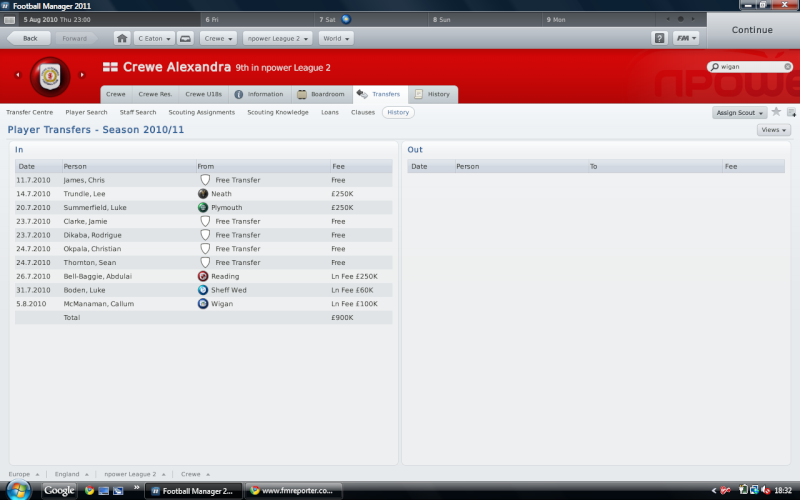 I have brought in a few good free agents as well as a good few loanees. THE CREWE BOYS ARE GOING UP !!!! That is a lot of dudes coming in... your roster must be chock full now.